Can your not for profit achieve its long-term goals in the absence of an effective change management strategy, asks OPTIMUM NFP. Organisational sustainability and change go hand-in-hand. Many organisations introduce change, or initiate and plan for change, in response to a wide range of internal and external triggers. For some it could be the result of key staff departures providing the opportunity to review and potentially refresh the organisational structure. For others it could be the result of difficulties with the external environment necessitating changes to long standing business models that have not been previously challenged. Such changes can be viewed in many different ways by the staff within the organisation. Some will view these potential changes as opportunities by virtue of embracing the unknown, whilst improving whatever the shortcomings of the existing position may have been. Others will view them as threats by virtue of being uncomfortable with the unknown, and the sense of possible loss of position, control, influence or power. Recent ground-breaking research undertaken by Dr David Rosenbaum of OPTIMUM NFP sought to understand what characterised planned organisational change in a not-for-profit organisation and, in doing so, to identify any specific enhancements to recognised change management models that could therefore be beneficial to this sector. The fundamental premise of this research was that existing change management models have largely developed from research conducted in for-profit organisations. This suggests a historic underlying assumption that differences between the for-profit and the not-for-profit sectors are potentially not relevant when considering such organisational challenges as change management. The evidence however points to substantial differences that warrant serious consideration as to how the management of change should be considered within the not-for-profit environment. 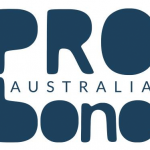 Australian not-for-profit organisations are currently facing many challenges that question their very existence, in the provision of disability services, aged care services, employment services, community services, health, education, etc. Organisational survival will be dependent on the ability to change service delivery models, structures, and/or business models. Change failure will cost your organisation at a time when you can least afford it. it researched change from the perspective of people experiencing and managing it. The application of the findings of this research will ensure that people within your not for profit can cope with change. Dr Rosenbaum has presented his analysis and findings at numerous international and domestic conferences in Rome, Boston, Liverpool (UK), San Francisco, Amsterdam, Darwin and most recently, Germany, as well as publishing in a number of academic journals, and he now brings the outcomes of his research into a masterclass format. recognising the findings of the research and how these should be embedded in your not for profit’s change management program. This masterclass is practice orientated where the full-day session will introduce the theory and then focus largely on specific not-for-profit change management case studies where participants will be challenged to utilise both existing change models together with the research outcomes to focus their attention on how to implement successful change. Participants attending the session will achieve a better level of understanding of the drivers of effective and efficient organisational change in their not-for-profit organisation. They will leave the session with new tools and techniques that can support such change and in the process, understand the full range of unique not for profit attributes of change management that are supported by recent ground-breaking research. The masterclass is being held in Sydney on Wednesday 12 September 2018 and early registration is suggested given the limited number of seats available. You can register your interest online at https://www.optimumnfp.com.au/masterclass.html or by contacting David Rosenbaum at drosenbaum@optimumnfp.com.au or 0411 744 911 to obtain further information. These masterclasses will also be scheduled in Melbourne, Brisbane and Canberra for 2019.